According to market research, there will be nearly 26 billion devices on the Internet of Things (IIoT) by 2020. While the consumer end of the IoT has been the primary focus of attention, the manufacturing subset of the IoT — IIoT — will witness even more spectacular growth. Manufacturing companies are expected to spend $500 billion a year by 2020 on IIoT technology and generate value of $15 trillion annually by 2030. At its core, the IIoT is about the interconnection of intelligent devices that collect, scour, and share data to find trends, patterns, and anomalies to help businesses make better decisions. Companies are already benefitting from the IIoT through cost savings due to predictive maintenance, improved safety, and other operational efficiencies. Data is king in the IIoT. However, you can’t measure what you can’t see or sense. This has given rise to a renewed need for increased and improved machine-vision technologies. Data generated by cameras within an IIoT ecosystem is invaluable, if not absolutely essential, for successful connectivity and collaboration. An IIoT device without a camera or sensor may someday soon be considered a simple tool. For example, think of a connected camera on a packaging line. In addition to performing its traditional duty of reading barcodes to obtain product data, it will also evaluate barcode print quality to notify other machines to perform routine maintenance to barcode printers before codes fall below acceptable standards of readability. The challenge is how to integrate machine vision in a system of hundreds, if not thousands, of connected IIoT devices. One answer is the widely adopted CoaXPress (CXP) camera-to-computer interface. First proposed seven years ago, CXP combines the traditional simplicity of 75 Ω coaxial cable with high-speed serial data technology. The merging of these two features — inexpensive coaxial cable and “XPress” speed — provides a solution for IIoT data transmission. The backbone of the IIoT is the fast, reliable transfer of Big Data so it can be acted on by other machines. CoaXPress meets that challenge head-on by supporting bit rates up to 6.25 Gbit/s over a single coaxial cable from camera to frame grabber, meaning 2 megapixel images can be obtained at up to 300 frames-per-second. A low-speed uplink channel, operating at 20.833 Mbit/s from frame grabber to camera can be used for camera control or triggering, while a 24V power supply is also available over the cable to deliver up to 13W to the camera. For even higher speeds, links may be combined to provide multiples of the single coax bandwidth. But it is not just higher speeds that are attractive — another advantage is the use of longer, more flexible cabling. Cable lengths greater than 100 meters (328 feet) can be achieved without hubs, repeaters, or other intermediary. It is also possible to reuse existing coaxial cable when upgrading from an analog to a digital camera system, making CXP ideal for cost-effective retrofitting. BitFlow recently introduced its Aon-CXP CoaXPress single-link frame grabber to address the IIoT and other machine vision markets. Affordable yet powerful, the Aon-CXP is optimized for use with the newest generation of smaller, cooler operating CXP single-link cameras popular in the IIoT. Mating a single-link CXP camera with the Aon-CXP provides the convenience of a GigE Vision or USB3 vision camera system, but is faster, less expensive, and permits longer cable lengths. It also delivers a host of features missing from GigE Vision or USB3 camera systems such as triggers, encoders, strobe, waveform generators, and quadrature encoder support. All of the hardware and software components of the BitFlow Aon-CXP capture system are sourced from one manufacturer, eliminating the hassles of systems built of blocks from different manufacturers. Machine vision today is a reactive tool for identifying defective parts. In the IIoT, however, its impact will go beyond simply inspecting parts or guiding robots. Empowered by connectivity, machine vision will be used to extract data from images for drawing insights with statistical and data science techniques, and enable greater collaboration across entire supply chains in real time. 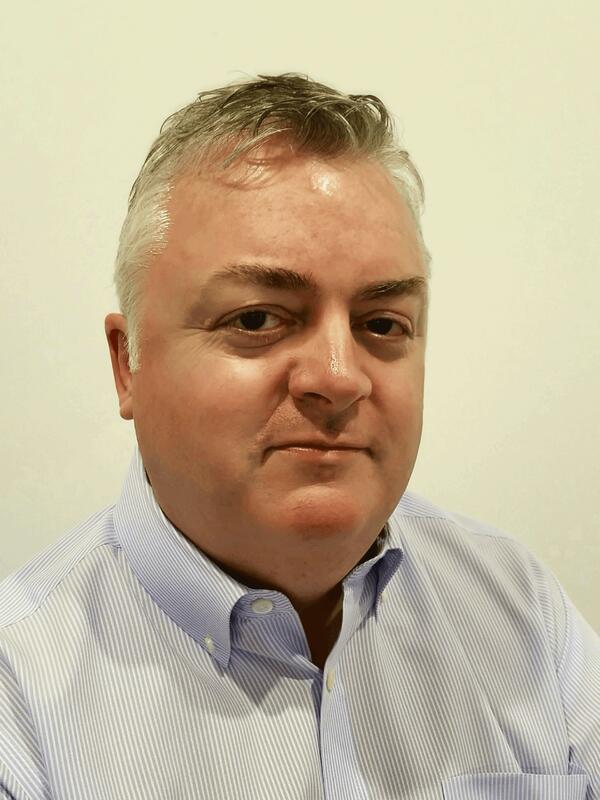 Donal Waide is the Director of Sales for BitFlow, Woburn, MA USA. BitFlow has been manufacturing high speed frame grabbers since 1993 and have recently introduced their latest CoaXPress frame grabber, the Karbon-CXP4. Donal can be reached at donal.waide@bitflow.com or +1-781-932-2900.